First thing you're going to want to do is Screenshot your current points so you do not lose any( thats if you have any!. relinking will cause them to go away) Then set up your Enjin account. You can do this by clicking on the "Register" button in the top right corner of your screen, shown below. If you can't see this you might have to scroll up on the page a bit. Once you're signed in to the website, you'll want to go to your profile, indicated in the picture below. You'll have to click on your username or the profile picture to get there. From there you'll want to add a character. The character will be your in game minecraft player. To start go to the "Character" tab on the left of your screen. In the characters tab you'll want to select "Minecraft (PC)" on the left and then hit the "Add Character" button to start linking your account. A screen will appear that I will also show below this. This screen will give you instructions on how to link your account, but we will also go over those here. At this point you'll want to load up a vanilla minecraft launcher (preferably for version 1.12), and click on the "Multiplayer" button. 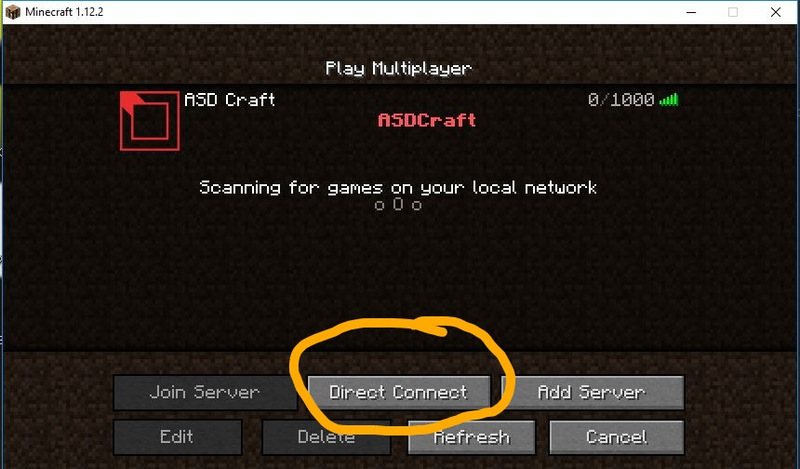 At this screen, you'll hit "Direct Connect" to connect to the enjin server. 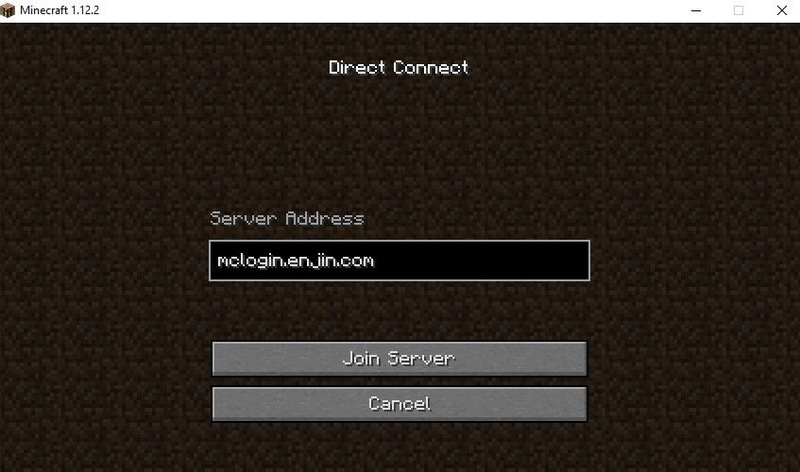 In the next screen you'll type in the IP for the server, that being "mclogin.enjin.com". Hit the join button to get the code to link your account. COPY THIS CODE SOMEWHERE! WRITE IT DOWN! Back on the website in the screen below where we left off, you'll type in that code you got in the last step and then hit "Save Character". After you have done all this your account will be successfully linked and you can start accumulating vote points in the server! 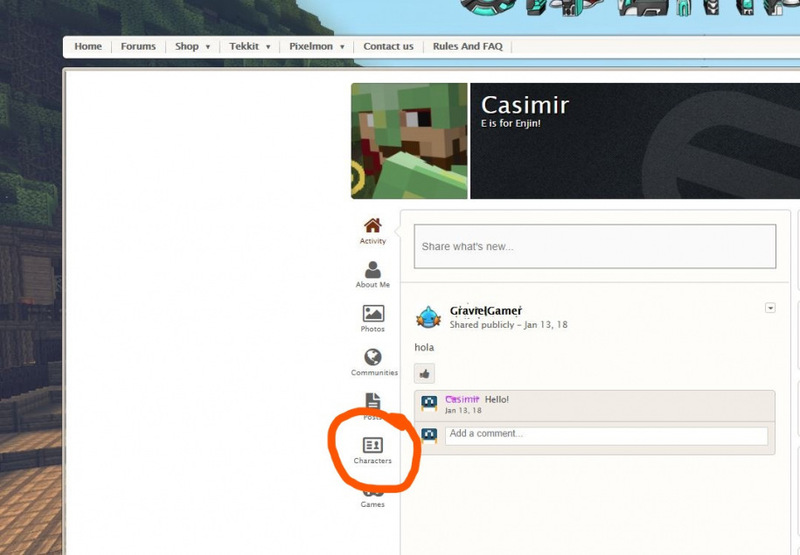 If your account linked successfully your minecraft skin should now appear in the characters tab on your profile. To get vote points go to one our pixelmon servers and type in the command /vote. Follow each of the links for 1 vote point! To check how many vote points you have, log in to a pixelmon server and type in the command /e points. If this command does not go through, your account did not link correctly, and you'll have to contact a staff member to assist you further.